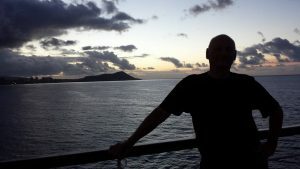 CV Update – Interesting people I have met. Changes within 2014, 2015, 2016 and 2017 archives for data corrections and URL updates. 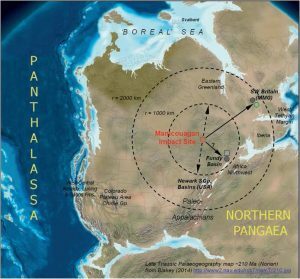 Hiawatha Impact Crater – Possible Younger Dryas Extinction instigator? 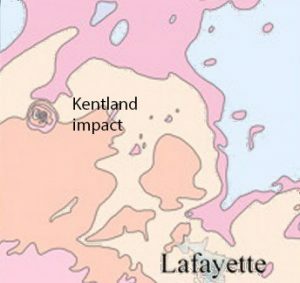 Map of the bedrock topography beneath the ice sheet and the ice-free land surrounding the Hiawatha impact crater. 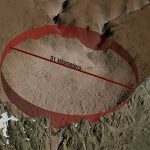 The structure is 31 km wide, with a prominent rim surrounding the structure. 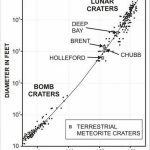 No surface evidence exists due to comparatively recent coverage by glacial till. 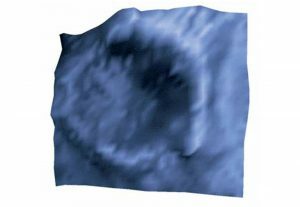 The crater is buried 20 to 90 m below the surface. 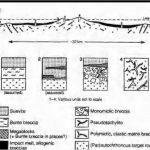 Merewether – new image + list of 5 possible geological causes. 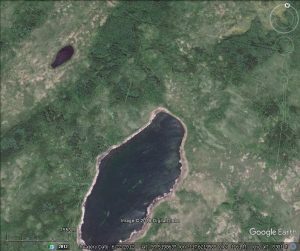 “Flying over Quebec-Labrador peninsula, the wonderful view was jumping to my eyes. 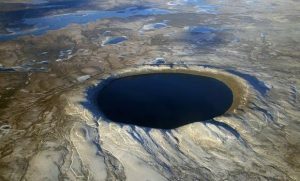 I found this Crater, which shows us the power of nature, then captured it to keep this beauty in my mind.” – courtesy of pilot Atsuko Sasaki from Japan . 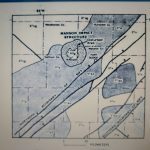 Target stratigraphic column for the Flynn Creek area. 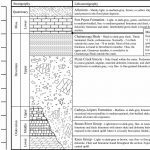 Descriptions of stratigraphic units and their thicknesses are given for each unit. 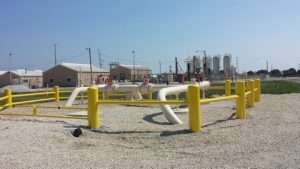 Chesapeake, Virginia – Comet Shower? 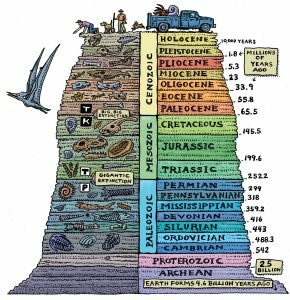 – late Eocene extinction? 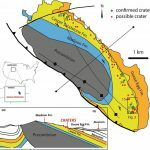 Simplified geological sketch and location of confirmed and possible impact craters at the NE slope of Sheep Mountain anticline, WY, USA. 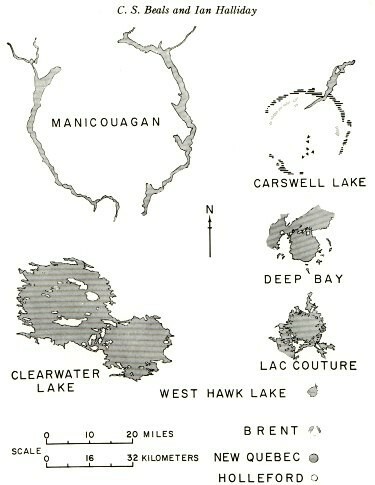 Sketch map of Slate Islands impact structure, located in northern Lake Superior. 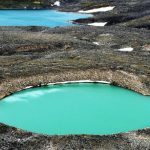 The Pacaya volcano is a part of the Central American Volcanic Arc, a chain of volcanoes stretching from the northwest to the southeast along the Pacific coast of Central America, formed by the tectonic subduction of the Cocos Tectonic Plate beneath the Caribbean Plate. The island of Hawaiʻi is built from five separate shield volcanoes that erupted somewhat sequentially, one overlapping the other. 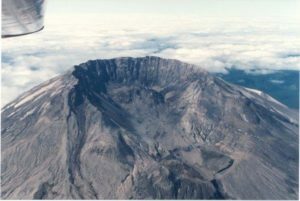 Yours truly flying over the St. Helens crater in 1991, 11 years after the latest major eruption. 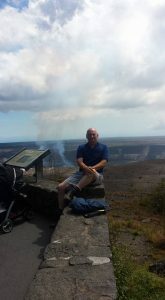 I was astounded to realize how much energy it took to erase the top half of the mountain during that eruption. Panum Crater is a volcanic cone that is part of the Mono–Inyo Craters, a chain of recent volcanic cones south of Mono Lake and east of the Sierra Nevada, in California, United States. Panum Crater is between 600 and 700 years old, and it exhibits all of the characteristics of the textbook rhyolitic lava dome. 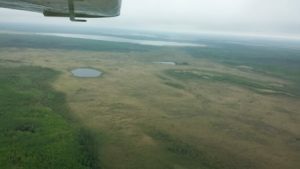 The Steen River impact structure (SRIS) is a buried complex crater in NW Alberta, Canada, first detected as an anomaly magnetic and seismic surveys. 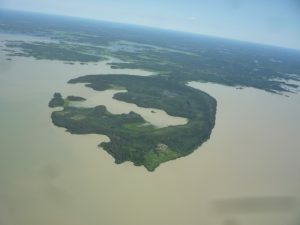 It is suspected that the circular tongue of land in Great Slave Lake is a volcanic eruption at the west edge of the Slave Craton. It is classed as a “Diamond Head analog”. Diamond Head (a Fort Rae analog) is part of the system of cones, vents, and their associated eruption flows that are collectively known to geologists as the Honolulu Volcanic Series, eruptions from the Koʻolau Volcano that took place long after the volcano formed and had gone dormant. A C150 aircraft upon crossing the crater rim could not maintain level flight. 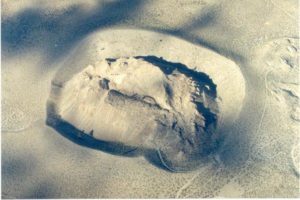 Pilot attempted to build up speed by circling in the crater to climb over the rim. 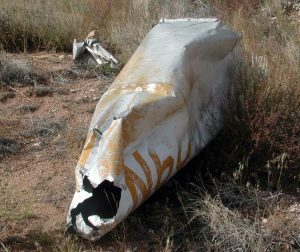 During the attempted climb out the aircraft stalled and crashed. 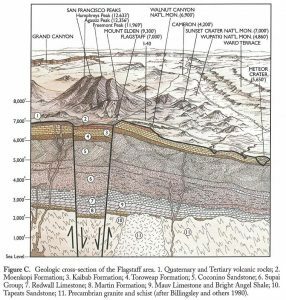 Geologic cross-section of the Flagstaff area. 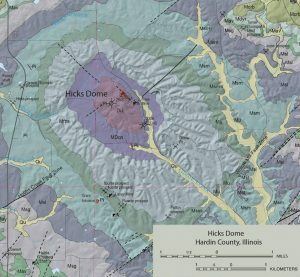 Graphic adapted from Indiana Geological Survey. 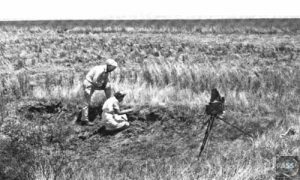 Dr. Clyde Fisher, of the American Museum of Natural History and his assistant inspecting the crater (Earth Impact Database). 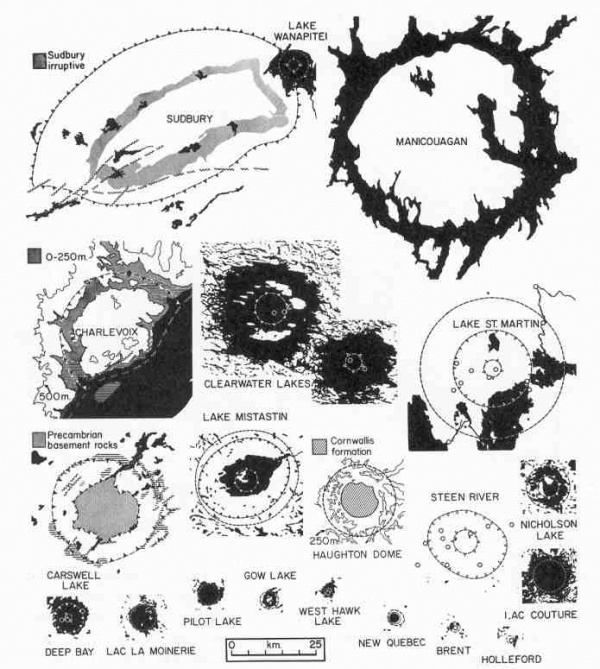 The High Rock Lake structure, on the northeastern flank of the Williston Basin in Manitoba, is a circular crater commonly thought to be an astrobleme. 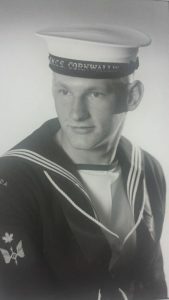 1964 and just turned 18, yours truly just graduated (survived) Royal Canadian Navy basic training. A lifetime of adventure awaits! 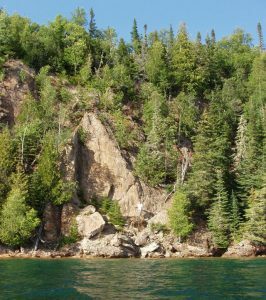 The Manicouagan Impact causing a paleoseismic event possibly triggering the Bay of Fundy and variations in the progression of CAMP lava deposits. Weaubleau structure is discernible in the drainage patterns. 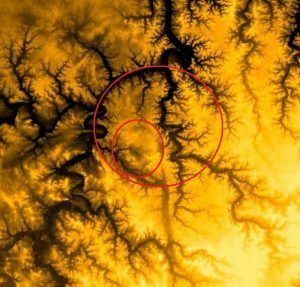 The Crooked Creek structure is a localized occurrence of intensely disturbed early Paleozoic strata situated on the western flank of the Ozark dome at a location about 80 km (50 mi) WNW of the St. Francois Mountains (Middendorf, 2003). The Middlesboro Basin is the unique development of a circular, alluviated, topographic depression in a part of the Appalachian Plateaus that is characterized by rugged hillsides, narrow V-shaped valleys, and a minimum of flat bottom land. 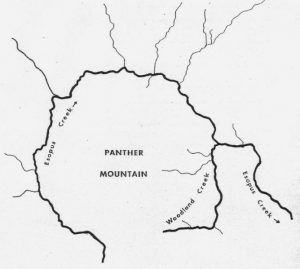 The Panther Mountain circular structure is located in the Catskill Mountains near the eastern edge of the Allegheny Plateau. 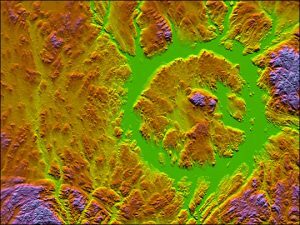 It is a circular mountain mass, 10km in diameter and surrounded by a annular drainage pattern formed by Esopus Creek and its Tributary Woodland Creek. 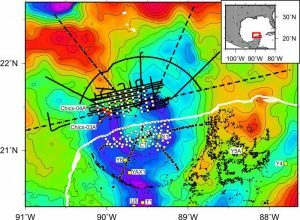 Antipodal from the Chicxulub impact. Seismic interpretation of faults and continuous surface representing the general shape of the Hotchkiss structure. (Mazur 1999). 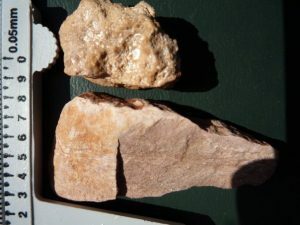 TOP: The shocked Coconino Sandstone (Kieffer 1971) is weakly shocked sandstone (<10 GPa) that lacks remnant porosity and contains abundant grain comminution and fracturing. Note the “rock flour” on the shocked sample. BOTTOM: The unshocked Coconino Sandstone consists of a fine to medium-grained, moderately well-sorted, rounded quartz arenite with ~ 20 vol% porosity. Coconino sandstone layers are typically buff to white in color. 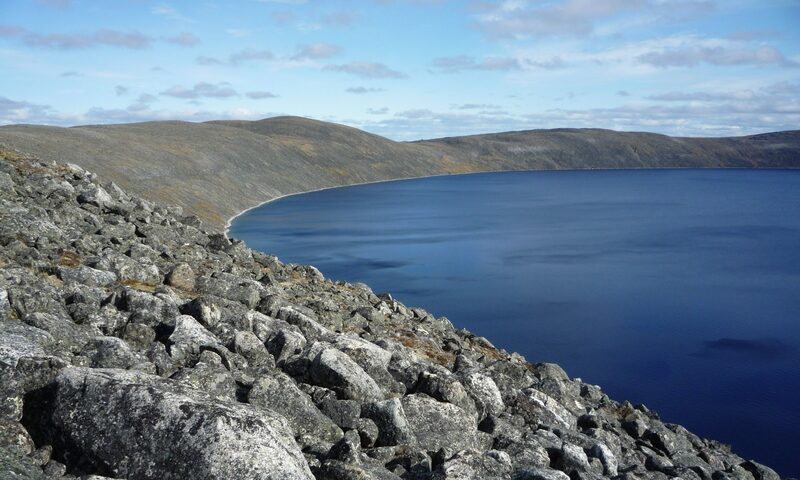 It consists primarily of sand deposited by eolian processes (wind-deposited) approximately 260 million years ago. 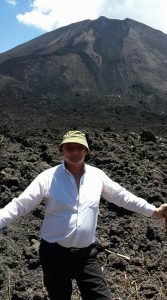 Yours truly posing on the largest discovered shatter cone on this planet, in McGreevy Harbour at the Slate Islands impact structure. 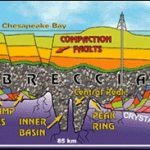 Brent Impact Crater – drill documentation. 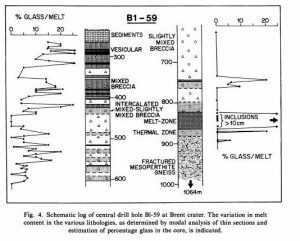 Drill hole schematic representation at the Brent Crater. 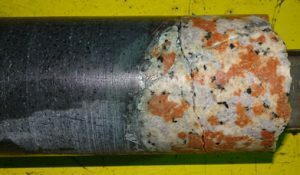 During International Ocean Discovery Program (IODP) Expedition 364, Paleogene sediments and lithologies that make up the Chicxulub peak ring were cored to investigate (1) the nature and formational mechanism of peak rings, (2) how rocks are weakened during large impacts, (3) the nature and extent of post-impact hydrothermal circulation, (4) the deep biosphere and habitability of the peak ring, and (5) the recovery of life in a sterile zone. 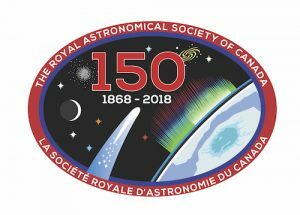 The RASC Sesquicentennial Logo featuring the Manicouagan Impact Crater. 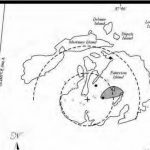 The Manicouagan astrobleme (214 ± 1 Ma) represents the major discovery of sites of impact cratering in the Canadian Shield, an effort pioneered by astrophysicists and geophysicists at the Dominion Observatory (ca. 1950-), many of whom were RASC members. This world-impacting research played a crucial role in changing scientific and popular perceptions of crater-forming mechanisms, solar-system history, and planetary geology. 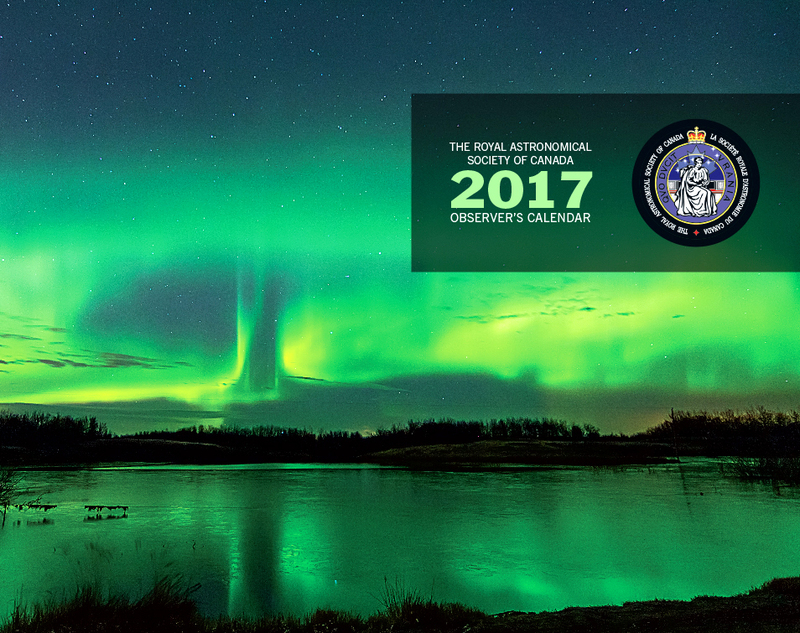 The representation of the crater also acknowledges Canadian excellence in meteor dynamics, meteorite petrology, meteorite curation, and the RASC’s long-standing interest in such work. The stars represent the major Canadian contributions to stellar spectroscopy done at the Dominion Observatory, the Dominion Astrophysical Observatory (also see this), the David Dunlap Observatory,(additionally refer to this) and elsewhere (ca. 1905-), whose major contributors were also RASC members (such as J.S. Plaskett [1865-1941], the first Canadian astrophysicist of international repute). The stars also symbolize the asteroseismology, exoplanet transits and eclipses, and investigations into stellar variability through precise photometry achieved by the Microvariability and Oscillations of STars space telescope(MOST, 2003-). The globular cluster recognizes the field of Helen Sawyer Hogg‘s (1905-1993) greatest scientific contributions (ca. 1926-ca. 1993), and the Helen Sawyer Hogg Telescope (HSHT) at the University of Toronto Southern Observatory at Cerro Las Campanas, one of Canada’s first ventures (1971-1997) in exploring off-shore astronomical installations, which has born lasting fruit in international cooperative installations exploring the full range of astrophysical phenomena, such as the Canada-France-Hawaii Telescope (CFHT, 1979-), the James Clerk Maxwell Telescope (JCMT, 1986-2015 [period of direct Canadian involvement & funding]), the Gemini Telescopes (North 1999-, South 2000-), the Atacama Large Millimetre Array (ALMA, 2011/2013-), the Square Kilometre Array (SKA, 2020-), and the Thirty Metre Telescope (TMT, ca. 2022-). The spiral galaxy represents both the work of Canadian observational cosmologists (e.g., Sidney van den Bergh‘s classification of Galaxy morphology, Laura Ferrarese‘s work on the morphology & dynamics of early type galaxies), as well as the efforts of amateur Canadian observers of deep-sky objects (DSOs), and imagers. The Moon symbolizes an object important for first nations’ calendrics, and the earliest recorded observations by Europeans in Canada (17th century lunar reports, and lunar eclipse reports). 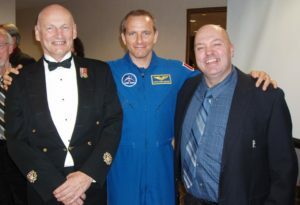 The Moon together with the stars symbolizes the practice of navigational astronomy on land and water, which was crucial to the formation of Canada. Finally, the Moon is as popular an object for RASC members to share with the public when doing outreach as it was 150 years ago.